HarperCollins, 1993, Hardback in Dust Wrapper. Condition: Very Good — in Very Good Dust Wrapper. A little rubbing to the edges of the dust wrapper, more heavily at the top corners of both panels. Text complete, clean and tight. From the cover: “No living writer is more responsible for shaping our picture of Scotland and its past than John Prebble. With his great trilogy, The Highland Clearances, Glencoe and Culloden, he has brought alive some of the central, tragic episodes in Scottish history with an immediacy that their readers will never forget. 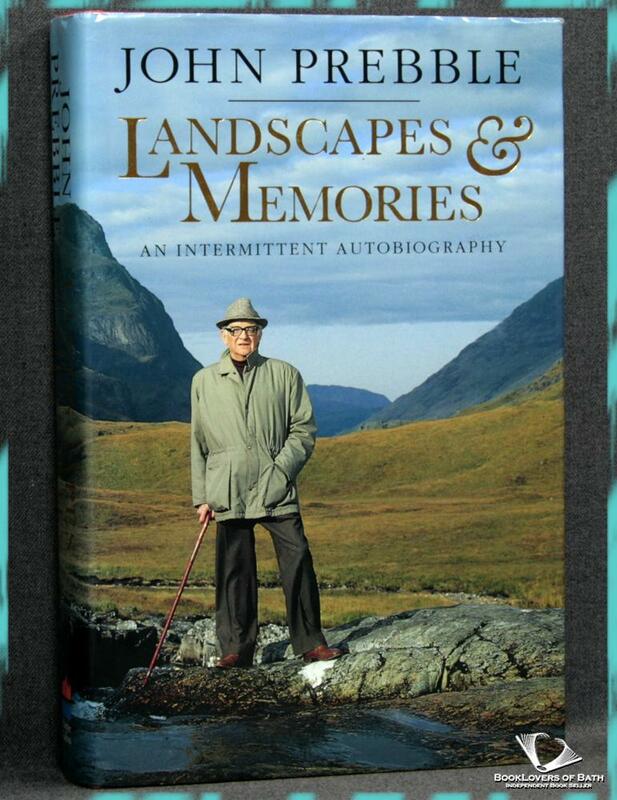 His new book, Landscapes and Memories, is as close as Prebble will ever come to writing an autobiography. It moves backwards and forwards, like memory itself, between the distant and the recent past, between Prebble’s recollections of his own life and of the lives and history he has written about. Three times and places provide his focus. Like the Highlanders a century before him, whose passage to the New World he chronicled, Prebble emigrated with his parents to Canada, where they hoped to build a new life on the great prairies. Many years later, in 1945, he was a soldier in Germany looking at first hand on the horrors and absurdities of war. Above all, when afterwards he found his career as a writer, it was Scotland, looking on her landscape, thinking about her history and meeting her people, that gave him inspiration. It is the continuity between the past and present which fascinates Prebble, and which he is able to draw out in the course of his book: the perennial qualities — the squalor, loneliness, brutality as well as the occasional exhilaration — of the military experience; the cruelty over the centuries of the oppressors of native peoples, whether Highland crofters or Plains Indians; the perpetual presence of landscape — its beauty but also its often tyrannical impact on the individual. As Prebble’s mind roams over the Scottish landscape and down the paths where memory leads him, the reader gradually realizes how inseparable past and present have become. Size: 9½" x 6¼". Red boards with Gilt titling to the Spine. 300 pages.